Welcome to my blog! 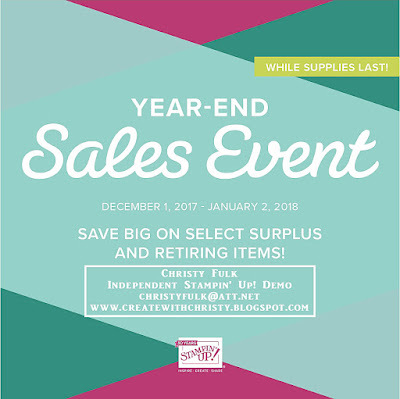 If you're going through the Sale-A-Bration Kick-Off Blog Hop, you probably just came from Candice Field's blog. 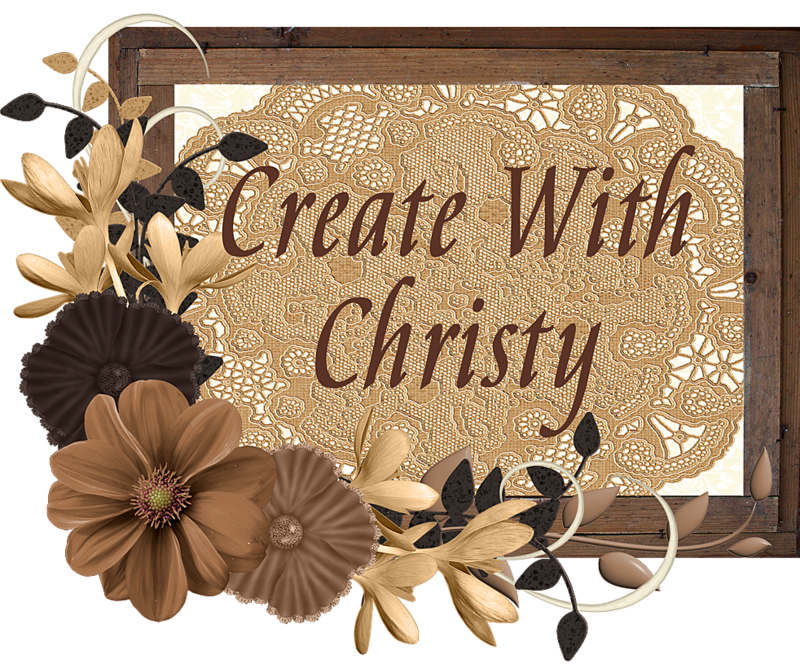 You're now at my blog, Create With Christy. My name is Christy Fulk, and I've been a demonstrator for over 14-1/2 years. Today, I made two cards for the blog hop. The first card was made using the BEAUTIFUL Heartfelt Blooms Sale-A-Bration Stamp Set. The floral stamp in this stamp set is so gorgeous! It has so much depth and beauty to it. It can be colored in, but it is just as pretty stamped alone! Starting tomorrow, you'll be able to get this stamp set free with a $50 order (before shipping & tax). Pool Party 3/8" Shimmer Ribbon: 7" & 9"
Very Vanilla 1/2" Lace Trim: 7"
Stamp the floral stamp from the Heartfelt Blooms Stamp Set onto each corner of the Sahara Sand piece using the Crumb Cake Classic Stampin' Pad. Wrap the Very Vanilla 1/2" Lace Trim around the center part of the piece, and attach the lace trim ends to the back of the piece. Wrap the smaller Pool Party 3/8" Shimmer Ribbon piece around the top of the lace trim, and attach the ribbon ends to the back of the piece. Fold the largest Pool Party piece in half to form the card base (fold on top). Attach the Sahara Sand piece to the card base. Stamp the floral stamp onto the center of the largest Very Vanilla piece using the Pool Party Classic Stampin' Pad. Die-cut the floral image out using the second, largest oval die in the Layering Ovals Framelits Dies. Some of the image will be cut-off. Die-cut an oval out of the smallest Pool Party piece using the largest oval die. Attach the floral oval to the Pool Party one, and then attach it to the center of the card. Stamp the "Thank You" stamp onto the center of the smallest Very Vanilla piece using the Crumb Cake ink pad. 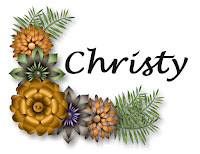 Die-cut the greeting out using the label die in the Petals & More Thinlits Dies. Attach a flower embellishment from the Petal Passion Embellishments to the left side of the label using a Mini Glue Dot. 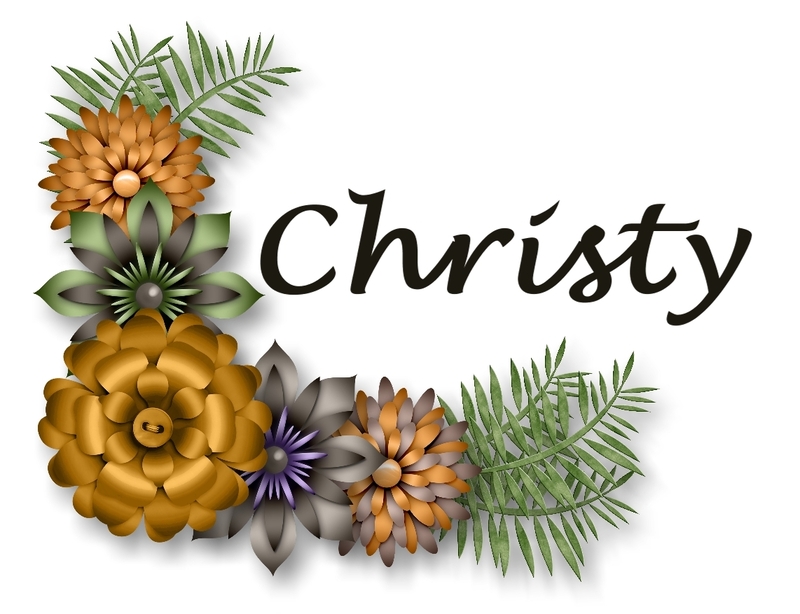 Attach the label to the bottom, right of the floral oval using Stampin' Dimensionals. Tie the longest Pool Party Shimmer Ribbon piece into a bow, and trim the ribbon ends at an angle. Attach the bow to the left side of the oval using a Mini Glue Dot (see picture). When attaching, use SNAIL Adhesive, unless stated otherwise. The second card features the Celebrate You Thinlits Dies. You can get them free, starting tomorrow, with a $100 order (before shipping & tax). The card also features the Cake Soiree Bundle and Sweet Soiree Specialty Designer Series Paper from the Occasions Catalog. These items will also be available to purchase tomorrow. Sweet Soiree Specialty Designer Series Paper (DSP): 3-1/4" x 3-1/4"
Emboss the largest Whisper White piece by running it through the Big Shot using the Layered Leaves Dynamic Textured Impressions Embossing Folder. Die-cut a circle out of the DSP piece using the largest circle die from the Stitched Shapes Framelits Dies. Attach the circle to the bottom, right of the embossed layer (see picture). Die-cut the "amazing" out of the Rich Razzleberry piece using the "amazing die" from the Celebrate You Thinlits Dies. Die-cut the "you" out of the smallest Old Olive piece using the "you" die. Attach both die-cuts to the card, using the Fine-Tip Glue Pen (see picture for placement). Stamp the largest, bold flower stamp from the Cake Soiree Stamp Set onto the smallest Whisper White piece using the Calypso Coral Classic Stampin' Pad. Stamp the smallest, bold flower stamp onto the piece twice using the Rich Razzleberry Classic Stampin' Pad. 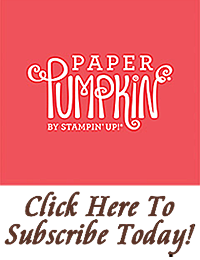 Stamp the leaf stamp four times onto the piece using the Old Olive Classic Stampin' Pad. Die-cut them all out with their coordinating dies from the Sweet Cake Framelits Dies. Attach the Rich Razzleberry flowers to the top, left of the circle, and then attach the Calypso Coral flower using Stampin' Dimensionals. Attach the four leaves around the flowers. Fold the largest Old Olive piece in half to form the card base (fold on the left). Attach the Whisper White/flower piece to the card base. Attach everything using SNAIL Adhesive, unless stated otherwise. Well, I hope you enjoyed my cards. Now it's time to go to Selina Merali's blog. Click on the Picture to Place Your Order Today, Before Your Favorites are Gone! The Remarkable InkBig Blog Hop - Valentine's! 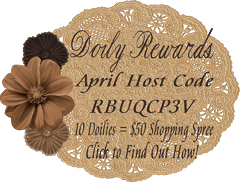 RemARKably Created Blog Hop - Bundle Up! Heartfelt Blooms Stamp Set by Stampin' Up! Last Day of Year End Sales Event!